The Almohads (r. 1121–1269) were the first (and last) Muslim dynasty to politically unify the entirety of Islamic Spain and North Africa since the Umayyad conquest of the region in the 7th and 8th centuries. The Almohads, whose name (al-Muwaḥḥidūn) literally means “those who affirm the unicity of God,” were a religio-political movement rooted in the theological and legal principles preached by Ibn Tūmart (d. 1130), referred to by his followers as the Mahdi, to the Berber tribes of the High Atlas Mountains. The founder of the Almohad dynasty was ‘Abd al-Mu’min b. 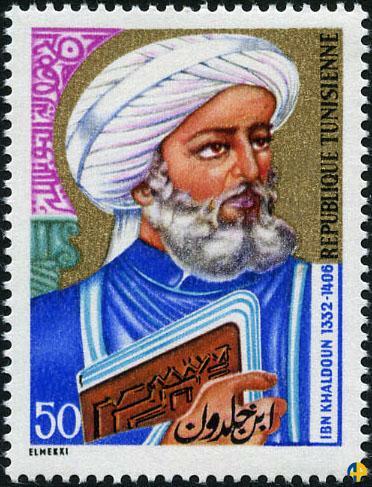 ‘Alī al-Kūmī (r. 1130–1163), an early and close follower of Ibn Tūmart, who proclaimed himself caliph (amīr al-mu’minīn) in 1130, went on to conquer large swathes of North Africa and Spain, destroying the Almoravid polity, and establishing the Almohad empire, which dominated the region until the early 13th century. Following the decline of Almohad power during the early 7th/13th century, between roughly 617/1220 and 669/1270, four successor states emerged in the lands formerly ruled by this dynasty: the Marinids (r. 1244–1465) in Fez, the Nasrids (r. 1232–1492) in Granada, the Zayyanids (r. 1235–1556) in Tlemcen, and the Hafsids (r. 1229–1574) in Tunis. Another successor kingdom, that of the Banū Hūd, also emerged and was based in Murcia but was short-lived. Although Almohad sovereign rule was finally ended by the Marinid conquest of Marrakech in 1269, with the Hafsids of Tunis and the Hintātah tribes of the High Atlas Mountains continuing to claim the mantle of Almohad ideology, there were a large number of descendants of ‘Abd al-Mu’min who remained in North Africa, including the children and grandchildren of former Almohad caliphs. The following biographies of medieval Andalusi women are drawn from the Kitāb al-Ṣilah of Ibn Bashkuwal (d. 1183), the Takmilat Kitāb al-Ṣilah by Ibn al-Abbar (d. 1260), and the Kitāb Ṣilat al-Ṣila by Ibn al-Zubayr (d. 1308). They include women from various classes of society and different regions of al-Andalus who participated in scholarship and learning between the ninth and thirteenth centuries. These biographical works and accounts provide important insight into the social and intellectual history of al-Andalus and allow modern scholars to better understand the role of Andalusi women in the transmission of knowledge during the Middle Ages. In Summer 407 AH/1016 AD, a wave of mass violence targeting Isma’ili Shi’i Muslims swept over Ifrīqiyah, a province of the Fatimid caliphate ruled by the Zirid dynasty and consisting of the territories of modern-day Tunisia, western Libya and eastern Algeria. Following their move to Egypt in the late 10th century, the Fatimid caliphs had appointed the Zirids, a dynasty of Sanhaja Berbers, as their governors and deputies in North Africa. Despite occasional outbreaks of violence, for much of the late 10th century there had been a delicate, albeit uneasy, coexistence between the various Muslim communities in Ifrīqiyah (Isma’ili Shi’is, Hanafis, Malikis, and Ibadis). The massacres of 1016 were therefore a cataclysmic set of events that shattered this heterogeneous society. The following is a short translation of a short section of ‘Abd Allāh b. al-Sabbāḥ’s Nisbah al-Akhbār wa Taẓkirat al-Akhyār. Very little is known about the author apart from the fact that he was an Andalusī Muslim from Sharq al-Andalus, i.e the territory in eastern Iberia under the dominion of the Crown of Aragón. He was born at some point in the mid to late fourteenth century into a family of Mudéjars, a community of Muslims living under non-Muslim rule. At a young age, Ibn al-Sabbāḥ set out on his long journey to the East. His travels took him across Iberia to Nasrid Granada, Marinid Morocco, Hafsid Tunis, Mamluk Egypt, the holy cities of Mecca and Medina, Yemen, Syria, the Ottoman and Byzantine domains, as well as parts of Central Asia and Iran. He apparently returned to the Islamic West (although there remains a difference of opinion as to whether he returned to al-Andalus itself) early in the fifteenth century and wrote his travelogue shortly thereafter. The text is unique because it provides historians with a detailed travel account by a 14th/15th-century Mudéjar from the Crown of Aragón and, thus, provides some insight into how an individual from this community perceived the various developments, institutions and personalities throughout the Islamic world. It also represents a perspective of the broader Islamic world by an Andalusī Muslim, who often sought to stress the relative military might of other Islamic dynasties vis-à-vis the Christian West in order to contrast it with the relative weakness of the dynasties in the Islamic West and the rather precarious position of Muslims in al-Andalus. Due to the nature of medieval travel accounts, it is of course impossible to verify with any certainty the specific details or claims made by Ibn al-Sabbāḥ in the text, but it nevertheless has important value in illuminating the worldview of a late medieval Mudéjar. The section I have translated below deals with Ibn al-Sabbāḥ’s travels in Byzantine and Ottoman lands in the late fourteenth century, where (according to his account) he spent four years of his life. The reader will note how the text abounds with basic factual errors, myths and inaccuracies, underscoring the author’s lack of knowledge regarding the specific political history of that region. An illustrative example is his emphasis on the marriage alliance between the Kantakouzenos emperors and the Ottoman house. Ibn al-Sabbāḥ points out that the Byzantine Emperor John VI Kantakouzenos (r. 1347–1354) married his sister Theodora Kantakouzene (d. after 1381) to the Ottoman sultan Orhan (r. 1326–1362); in fact Theodora was John’s daughter (although the confusion may stem from the fact that her brother also became emperor shortly thereafter). Moreover, Ibn al-Sabbāḥ does not realize that Theodora was not the mother of Sultan Murad I (r. 1362–1389). Rather, the latter was the son of Nilüfer Hatun (d. 1383), the daughter of a prominent Byzantine commander but not related to the Kantakouzenos family . Ibn al-Sabbāḥ’s knowledge of Byzantine imperial history is also lacking as he erroneously claims that the current ruling dynasty was descended from Heraclius (r. 610–641). The same lack of knowledge underpins his strange claim that the Ottoman royal family was descended from the Abbasids, a statement perhaps derived from a local legend in one of the many lands that he visited throughout his travels. At times, he even makes basic mistakes about early Islamic history, wrongly placing the first Arab siege of Constantinople (674) during the reign of ‘Abd al-Malik b, Marwān. As with many travel accounts, its usefulness to the historian is in its author’s specific interactions in the lands they visited. As such, the account about Ibn al-Sabbāḥ’s visit to the Hagia Sophia and his admiration for the relics and icon in that basilica demonstrate the genuine curiosity of this Andalusī traveler for the new lands that he visited. It is through this specific anecdote that the reader also discovers that Ibn al-Sabbāḥ was fluent in Catalan and (apparently) understood some Italian, thus giving us additional insight into interpersonal interactions in the Mediterranean world of the 14th and 15th centuries. The following is my own translation of the biography of the renowned Andalusī-North African historian ‘Abd al-Raḥmān b. Khaldūn (d. 808/1406) which was written by Ibn Ḥajar al-‘Asqalānī (d. 856/1449) in the early 15th century. Ibn Ḥajar was a leading 15th-century Shāfi’ī scholar who authored dozens of works about Islamic law, theology, history, and biography. In addition, he was an important official of state in Mamluk Egypt, holding the post of Chief Justice (qādī) several times. This biography of Ibn Khaldūn, whom he met when he was a young man, is drawn from Raf‘ al-Iṣr ‘an Qudāt Miṣr, his biographical work about the various individuals appointed to the office of judge in medieval Egypt. Decidedly hostile, the account reflects Ibn Ḥajar’s strong opinions about Ibn Khaldūn, whose polarizing personality and actions had earned him many enemies in North Africa and Egypt, including many of Ibn Ḥajar’s own teachers. Far from being recognized as an outstanding scholar and brilliant intellectual, Ibn Ḥajar’s account illustrates that Ibn Khaldūn was not particularly highly esteemed by certain portions of the scholarly establishment. Despite the polemical nature of the text, it is an important source since it does serve as an important counterbalance to more favorable and panegyrical biographical narratives of Ibn Khaldūn provided by his students, such as Taqī al-Dīn al-Maqrīzī (d. 845/1442), or his own autobiography. It gives historians some important insight into Ibn Khaldūn’s legacy among a particular group of leading scholars (al-Bishbīshī, Ibn Ḥajar, al-Sakhawī and their students/colleagues) in 15th-century Egypt. Moreover, the text also alllows scholars to better appreciate the manner in which hostility and prejudice towards particular individuals could be transmitted from teacher to student, which is abundantly clear in the particular case of Ibn Ḥajar, whose views on Ibn Khaldūn would heavily shape the manner in which his own student, Shams al-Dīn Muḥammad al-Sakhāwī (d. 902/1497). The final section of the biography, in which Ibn Ḥajar, rather bizarrely, accuses Ibn Khaldūn of legitimizing Fatimid genealogical claims as part of a broader scheme to delegitimize the Family of the Prophet reflects most clearly Ibn Ḥajar’s deep-seated hostility towards Ibn Khaldūn. While keeping in mind the particular socio-political, personal and intellectual context that informed Ibn Ḥajar’s opinions, his biography of the historian remains among the most important contemporary sources for Ibn Khaldūn’s life. The Ottoman Turks were originally based in western Anatolia and had risen to prominence as a frontier principality on the eastern borders of the Byzantine Empire during the thirteenth and fourteenth century. 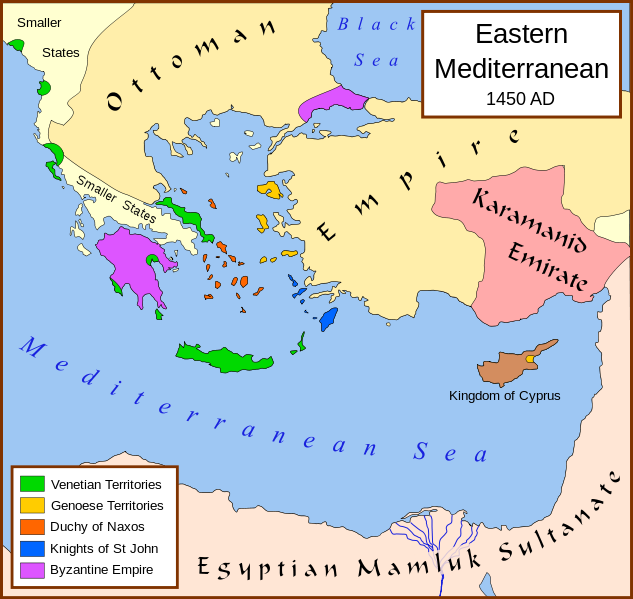 By the mid-fifteenth century, the Ottoman sultanate had conquered much of Anatolia, Greece, Thrace, and the Slavic-speaking regions south of the Danube; in effect, they had replaced the Byzantine Empire as the dominant power in the Balkans and the Aegean. 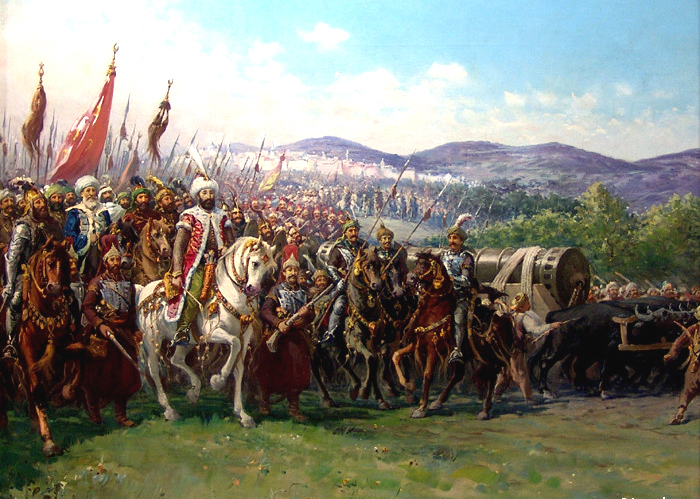 The culmination of Ottoman expansion in southeastern Europe was the conquest of Constantinople on May 29th 1453, which was accomplished after a fifty-four-day siege by Sultan Mehmed II (r.1451–1481), known as “the Conqueror” following his capture of the Byzantine capital. The following is excerpted from the monumental biographical dictionary entitled Siyar A‘lām al-Nubalā’ by the fourteenth-century Damascene historian and hadith expert Shams al-Dīn Muhammad b. Ahmad al-Dhahabī (d. 748/1348). It provides some insight into the reign of Abū’Abd Allāh Muḥammad ibn Yūsuf ibn Hūd al-Judhamī (r. 625–635/1228–1238), an Andalusi emir who eventually established his control over much of al-Andalus in the early 13th century following the weakening of the Almohads. It describes the great hope in al-Andalus that accompanied his rise to power and the impact that the crushing defeat he suffered at the hands of Alfonso IX of León (r. 1188–1230) at Mérida had upon undermining his legitimacy. It ends with a short note about the rise of the Nasrids in Granada and an anecdote about Ibn Hūd’s nephew, the mystical philosopher Badr al-Dīn ibn Hūd (d. 700/1300), who al-Dhahabī claims to have met in Damascus. ‘Alī ibn Mūsa al-Riḑa (d. 818), a direct descendant of the Prophet Muhammad through his grandson al-Ḥusayn ibn ‘Alī, is recognized as the eighth Imam within the Twelver Shī‘ī tradition and is also highly revered within the Sunni tradition. The following is a translation of one of the many pieces of wisdom attributed to him. This specific passage is preserved within the Tuḥaf al-ʿuqūl of the 10th-century scholar al-Ḥasan ibn ʿAli ibn al-Ḥusayn ibn Shuʿba al-Ḥarrānī (d. after 991 A.D.).